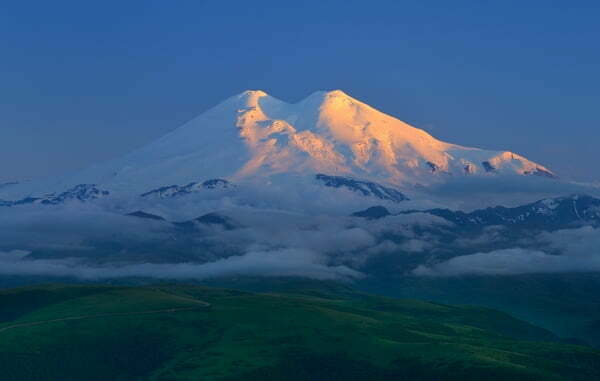 Elbrus is Europe’s highest peak, one of the Seven Summits of the world. Elbrus has two summits, in fact, both of which are dormant volcanic domes. While being in Russia, in addition to climb its highest West Summit (5,642 meters), you can also climb an East Summit (5,621 meters), as well as ski or snowboard on its slopes. What you will need to climb this mountain and what details you must pay attention to: get professional advice from Mountain Planet’s experts with multiple experience of ascending the highest peak in Europe. Yes, geographically, Russia is a part of Europe but you still need a visa to enter it. Make no mistake: getting your Russian visa may take up to two months, so, if you are planning to make your ascent in August/September, it may be a good idea to start filling all the paperwork right now. Also please keep in mind that the summer season is the vacation time (and FIFA 2018 as well), and the number of people applying for a Russian visa has grown manifold. There were cases when even famous athletes could not take part in competitions because they were too long about applying for the entry visa. If you do not want to overpay, you can find a guide for climbing Elbrus on site, but it’s always a gambling task. You can meet a top-grade expert, or you can just as well run into an amateur who has a poor command of the English language, misjudges risks, has no rescue and salvage skills – and the sheer miscommunication will play against you at the critical moment. There were cases when climbing in the company of such pseudo guides led to accidents and injuries, so make sure you know what you are doing. Therefore, if you are coming to Russia from far away, and want to climb Europe’s highest peak safely and efficiently, remember to choose your mountain guide, travel company, or any other service provider well in advance. It must be said that, in spite of the development of social media websites, and the breadth of the data field, one of the most dependable ways of getting the right information is still the good old word of mouth. The best option would probably be to pick the candidate that you like from reading the reviews and contact this person in advance in order to settle all of the further details with him or her. Of course, you can bring any kind of climbing gear with you but renting bulky or heavy things is quite possible on site, and at a quite budget-friendly price, too. Keep in mind, however: the Elbrus area is quite large; it has dozens of rent services ranging from the “papa’s garage” level to quite modern state-of-the-art ones, and finding the one that’s best for you can be quite a chore. The more gear you will need to rent, the more rental stores you will need to visit, some of them being situated a few kilometers away from one another, not having so much as a “rental” sign upon them. The large-scale professional rent services (AlpIndustria, 7 Peaks) clean, dry, and disinfect their gear, their selection being constantly renewed. 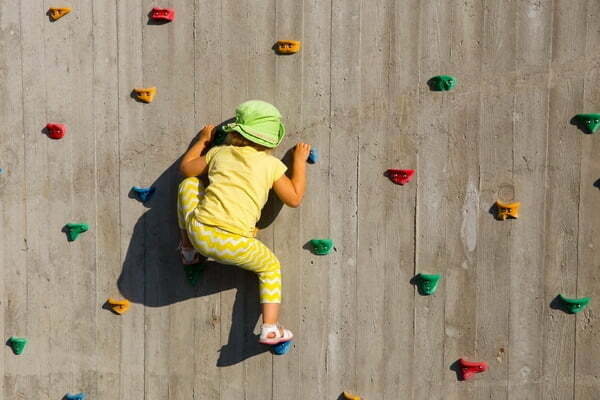 For example, renting a pair of plastic climbing shoes will cost you about $10 a day. Generally speaking, climbing shoes, crampons, an ice axe, trekking poles, a sleeping bag, and a mat are pretty easy to find on site. Where’s the catch then? Chances are you will not be able to get all of these things in one place, let alone find a pair of shoes your size. Therefore, if you decided to save up on bringing over your own gear, set aside some extra time for finding a good rental store and select the good quality equipment to climb with. Instead of extended searching and asking around in a foreign language, you just show the gear list (developed specifically for this purpose by the experts of Mountain Planet) to the rent service attendant, and you will understand each other without any words. In our “post-truth” age, one should really be critical about “unbiased” online reviews. If you have decided to study the materials devoted to mountaineering in Russia, make sure you are dealing with professionals. You can meet both rave reviews and articles full of negativity. As always, the truth lies somewhere in the middle. Therefore, it would be wise to rely on the opinion of people who have been to the Caucasus many times and who know the score. If it’s possible, try to find the “climbing resume” of the person whose reviews you are reading – the commonplace advice “google him” usually does the trick. Generally, keep in mind that a good mountain guide would write specific things about this or that climbing tour, and not try to run somebody down or praise himself beyond measure. 5. Do I Need an Excellent Physical Shape to Climb Mt Elbrus? True or Not? Season 2018 promises to become a sensational one for the Alpine community: 17 and 20-year-old boys and girls are climbing Mount Everest. And what about Elbrus? In June, this summit is going to be conquered by... a 10-year-old girl Kaamya Karthikeyan from India. 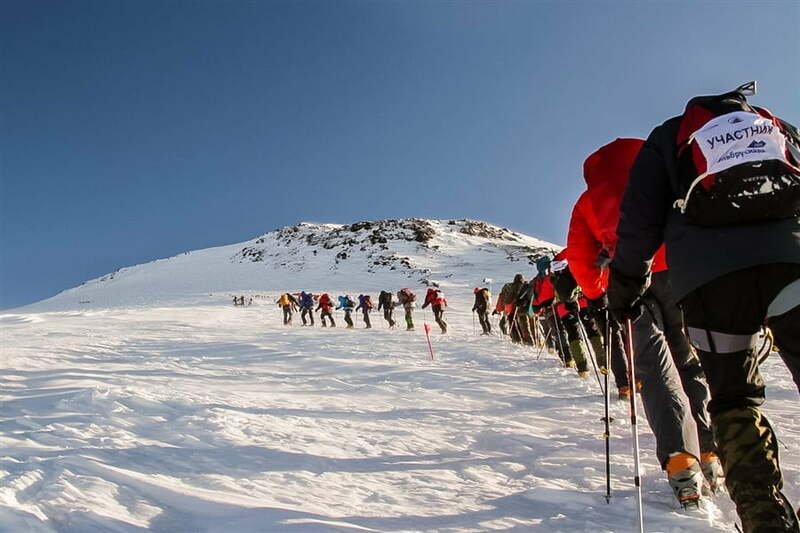 But then again, technically, Elbrus is not a very challenging mountain – what matters here is not so much one’s physical shape as the correct acclimatization. You can be in great shape but if you fail to acclimatize properly you may feel unwell up on the mountain, and your guide will order you to turn back and descend to avoid tragic consequences. In order to better adapt to the local conditions, you can not only make small acclimatization tours to nearby peaks during the first two or three days of your stay but also spend a night in one of the mountain lodges at an altitude of 3000 meters – this will brace your body to the transition to the mountain lodges at an altitude of 4000 meters or higher. For this purpose, in addition to the mountain lodges situated higher than 3800 meters, the slopes of Elbrus have other guest houses on them (for example, the hut named “U Ruchya”, meaning – “By the Brook”), located not far away from the top station of the “Krugozor” cableway, 3000 meters) This is higher than the Azau Meadow (2350 м), and spending a night there can go a long way to help you adapt more smoothly. Most importantly, listen to how your body behaves. And in order to feel confident in any unexpected situation, get the right first-aid kit. You needn’t stuff half of your backpack with pills and medicines but take the time to consider what you really may need. If you feel slightly out of sorts, most likely, you will have neither time nor strength to run around the whole Elbrus area in search of a drugstore. Another thing: the local pharmacist may not speak your language and may be of little help to find the medicine that you need; the composition of Russian and European medicines may also vary considerably. 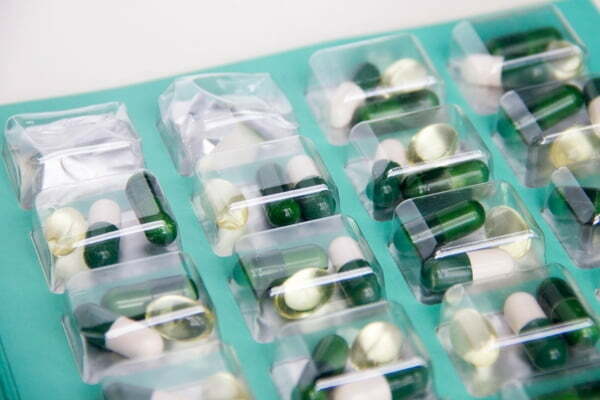 Therefore, make sure that you take along the medicine that you are taking on a regular basis, as well as pills for diarrhea, painkillers, cold medication, and drugs to treat allergy symptoms. You may have climbed dozens of peaks and know everything about how to behave in the mountains but we repeat: make sure to take with you the sunscreen with the highest SPF that you can find. You are welcome. Yet another lifehack: when you are about to spend a few days up high, hoist together with you to the lodge a few 5-liter bottles with water for cooking (often the local chefs openly ask the climbers to do so). This will also protect you from possible diarrhea problems, because in the absence of running water at high altitude the sanitary situation leaves much to be desired. Forewarned, forearmed. 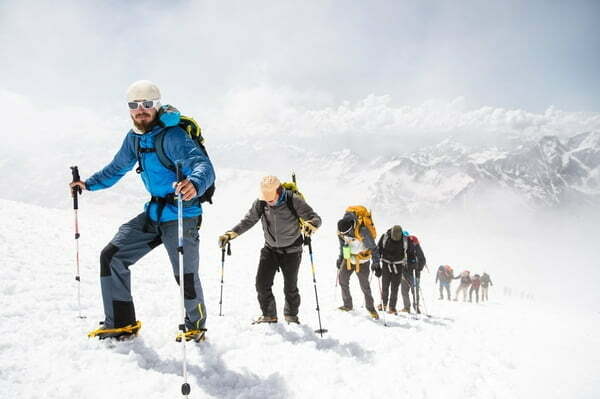 The infrastructure of climbing Mt Elbrus is not limited to getting a Russian visa, buying your ticket to get there, paying for the accommodation and coming to terms with your guide. 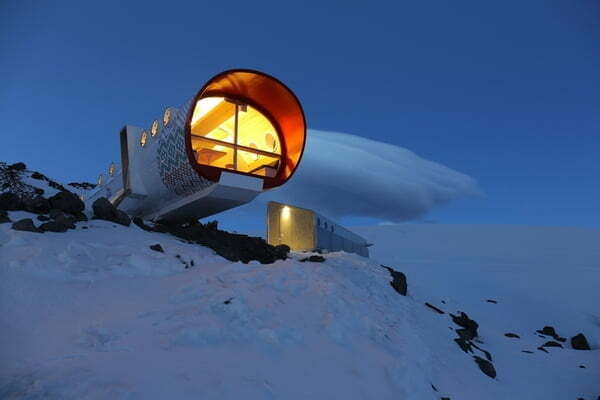 You will need more than just one place of accommodation, but several, in fact: the initial accommodation here below (on the Azau Meadow, or nearby), and the acclimatization period in the “Bochki” camp, or another camp at an altitude of 3800 meters, and so on. Add to it extra expenses for the cableway, snow groomer or a snowcat (depending on the style of ascent that you choose). Of course, you can try to take Elbrus by storm starting off right from the Azau Meadow on foot but today a mountaineer has at his or her disposal three sections of modern gondola cableways (not to mention the two old ones). Few are aware that there are always a few dozens of snowcats and snow groomers that are cruising the slopes of Elbrus. 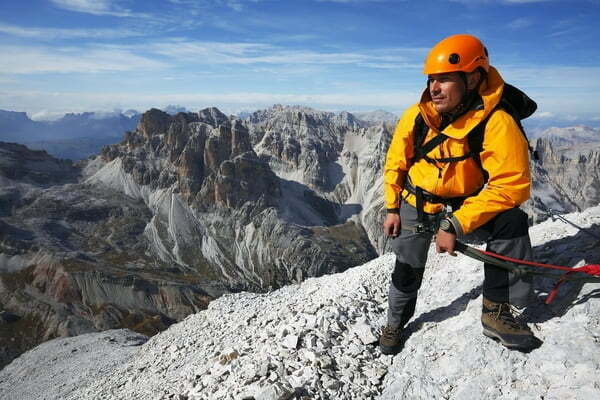 They will help you to save your energy not only during the ascent to the summit, but also during the descent. These babies will take you as high as 4700 meters. And, although some might say that this is “unsportsmanlike”, in some cases it is very convenient (for example, if somebody’s legs hurt or somebody is suddenly feeling unwell). Also keep in mind that at Elbrus there are plenty of accommodation options to choose from, matching any taste and budget. Still it is always better to know in advance what kind of service you are going to get in this or that lodge or hotel. You can find both “five-star” accommodation in the LeapRus lodge (3912 above the sea level) with a shower, a decent bathroom, and a Wi-Fi hotspot, and some shabby construction trailer with no running water and a bughouse a-la “hole in the floor”. Therefore, don’t hesitate to ask extra questions and insist on getting clear answers. Why Women Guides are Better Than Male Mountain Guides? THE MORE MOUNTAINS, THE MORE NUMBERS... CHECK IT OUT!! !